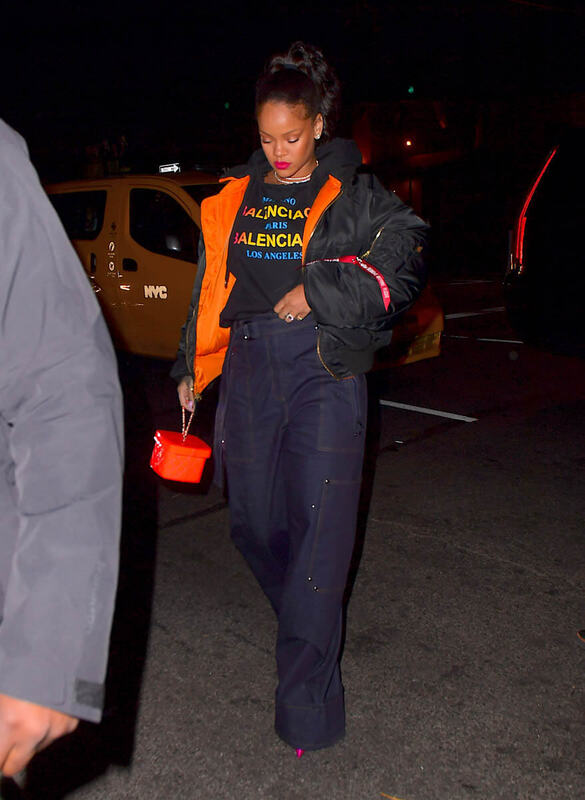 Rihanna’s Fenty Beauty came out in September and it’s been winning awards all over the place for the quality of the products and for its inclusivity of its range. Also? It’s Rihanna who is a boss, and perhaps underappreciated for her business strategy. She marketed the sh-t out of the line and the rollout was smart, engaging, comprehensive but also intimate. Because Rihanna was front and centre, you believed that this wasn’t just a cash grab for her, you believed that she truly believes in what she’s selling. And she’s not done. She just announced that she’s dropping 14 new Fenty Beauty lipstick shades, “MATTEMOISELLE”, on December 26. I love a matte lipstick. In fact, I’ve only worn matte lipstick now for almost five years. We started The Social in 2013. I don’t think there’s been a single episode where I’ve worn glossy lipstick. It’s matte or die. So I’m in, Rihanna. I might be in for every single colour. But especially the “Clapback”. 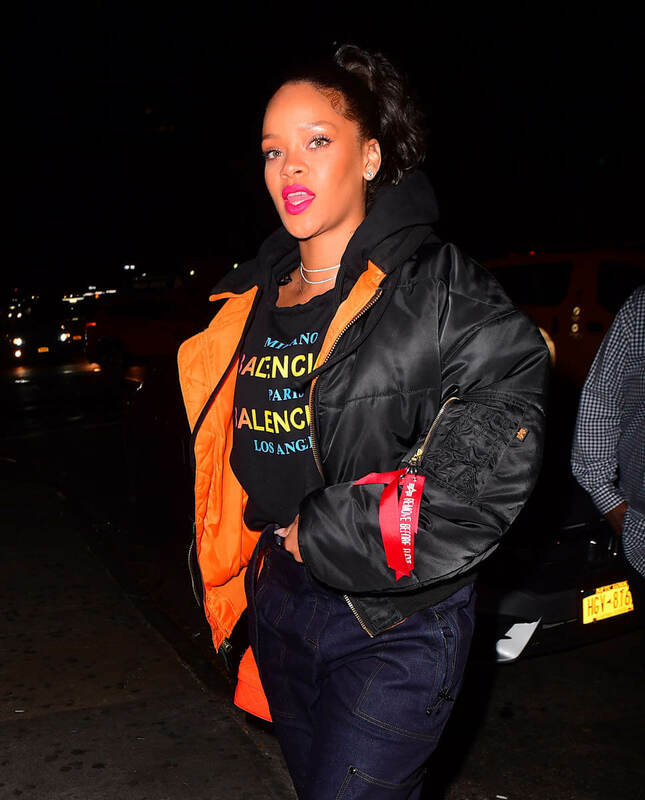 No one wears a dark lip better than Rihanna. That’s why I trust her with a dark lip colour. And I definitely trust her with a clapback. 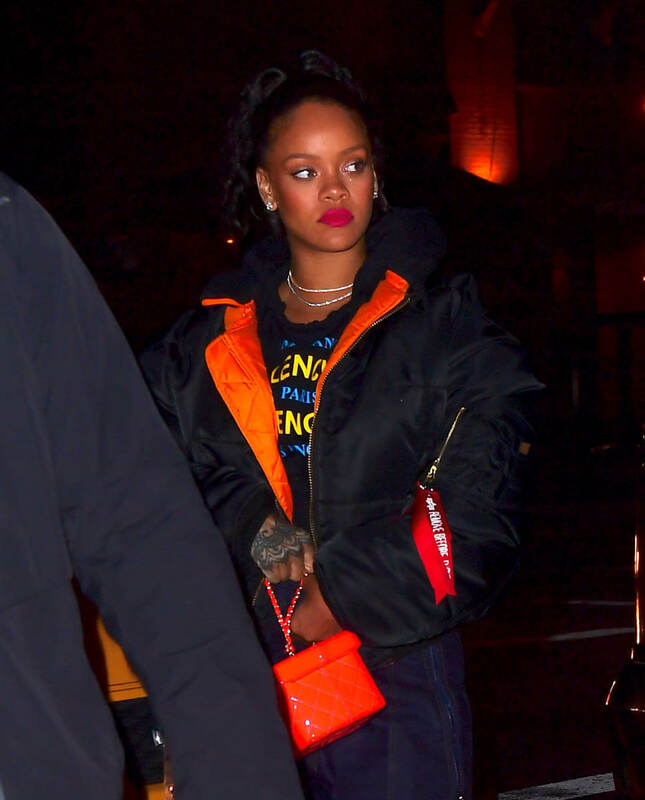 In other Rihanna news, she and her boyfriend, Hassan Jameel arrived together in London the other day. 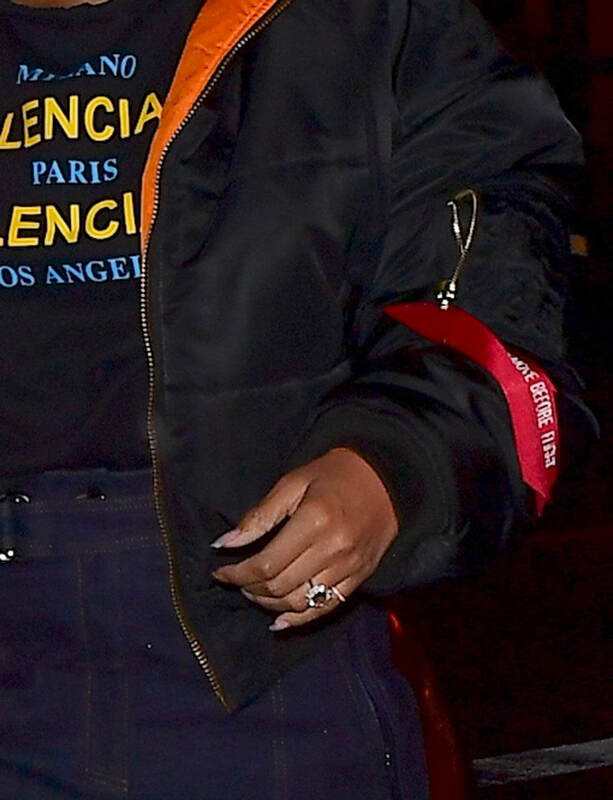 And did you see those photos of her wearing a ring on that finger last week? I’m not big on ring-watch a reliable gossip. That said… Hassan seems different for Rihanna. She’s protecting this relationship. It’s a serious relationship. And I wonder if in 2018, how much more serious this relationship will be…?